Definition deflationary gap – This is the difference between the full employment level of output and actual output. 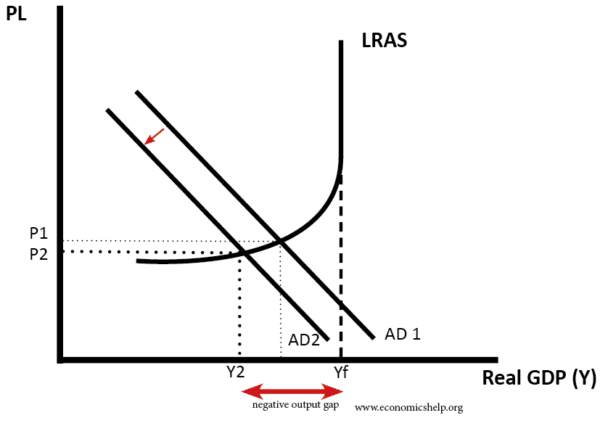 For example, in a recession, the deflationary gap may be quite substantial, indicative of the high rates of unemployment and underused resources. A deflationary gap is also known as a negative output gap. This shows that after a fall in AD, real output (Y2) is significantly less than the level of ‘full employment’ Yf. We can also show a deflationary gap with a production possibility frontier. With a deflationary gap, it implies that output is significantly below potential. The deflationary gap would be at point D.
The deflationary gap is also influenced by the rate of economic growth compared to the long-run trend rate of growth. If growth is below trend we will get a deflationary gap. 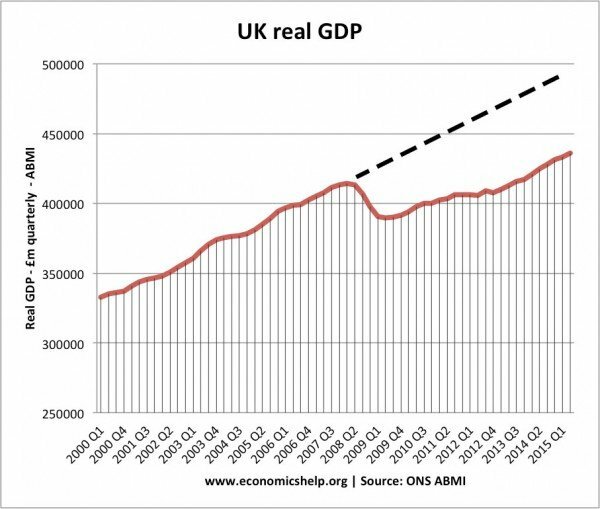 The deflationary gap in the UK economy post 2008/09 recession. If an economy experiences a deflationary gap, then it will have the following impact on the wider macroeconomy. Low/negative rates of economic growth. Negative impact on government’s budget. With lower economic growth, the government will receive lower tax revenue and lower government spending. Low rates of inflation/disinflation. Possibly deflation. 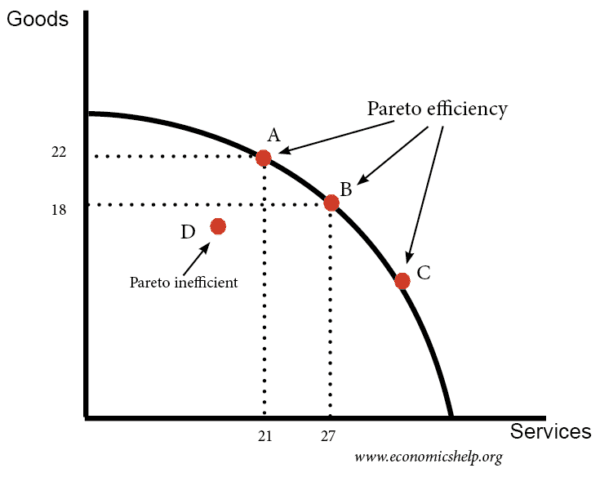 WIth a deflationary gap, firms have excess capacity, this tends to put downward pressure on prices and wages. A deflationary gap means that the economy is below full capacity and there is low growth. It doesn’t necessarily mean deflation because even in a recession with falling output, we may still get a very low rate of inflation.